Acting Balanced: #Autism Awareness #Giveaway Hop! Cafe Press Beach Tote! 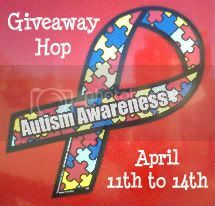 #Autism Awareness #Giveaway Hop! Cafe Press Beach Tote! 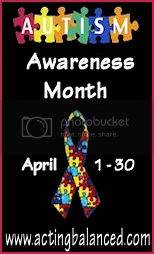 I am happy to be part of the Autism Awareness Giveaway Hop and to also let you know that I'm hosting a whole variety of Giveaways, Guest Posts, Q and A and Product Reviews related to Autism throughout the month! Cafe Press is your one stop shop for all kinds of personalized gifts and they have such a huge selection of Autism and Autism Awareness merchandise. “Labels go on soup cans – autism is just a diagnosis,” said the then 17-year-old Wilson Cook about his inspiration for opening a merchandise shop on CafePress to raise awareness of his disorder, which affects 1 in 110 children. by partnering with Autism Speaks, North America’s largest autism science and advocacy organization. During April, CafePress will donate a portion of proceeds from sales of all autism-themed products to Autism Speaks. My review: I chose this beach tote because it struck a cord with me. There are so many ways to symbolize Autism and one of the most prevalent is the puzzle piece. I love how the designer captured the puzzle pieces in such a unique way. For me, the imagery of the tree is a sign of growth and hope, and that's what I have for my son, who is 4, hope for growth (which I see everyday). I also love that this pattern is more subtle than some of the other designs, so it can be worn by anyone who supports the 1 in 110 children who have autism, whether they themselves are directly effected or not. The tote itself is great! It's made of sturdy canvas with reinforced seams and a large outside pocket! It also has an inside pocket that is great for holding your cell phone and keys so you don't have to go rummaging. This tote is big enough to be my diaper bag, and will definitely be my go-to tote for when I'm packing to head to the beach or even just downtown for a stroll! Winner will be chosen by random.org and will be notified on the blog and by email. Winners have 48 hours from time of notification to confirm their acceptance, otherwise they forfeit their prize. Visit Cafe Press and tell me what other design or product you'd like.